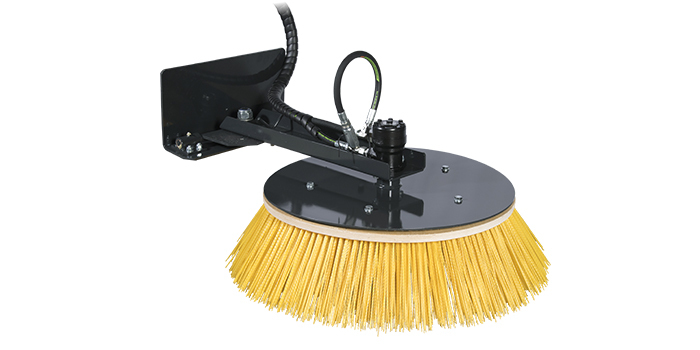 The circular broom is an efficient broom that moves the material sideways. It is a useful attachment when sweeping materials to the side or away from the wall. It rotates in both directions and can be used for various tasks.